What a bloody wash out today was, rain rain and more rain! I knew all my plans for the day were scuppered as soon as I opened the curtains this morning, doohh! OK a change of plan was needed, rather than concentrating on getting images I thought I'd do some groundwork and preparation for some images at a later date. Currently the UK has an influx of Jays from continental Europe, the reason is an apparent acorn crop failure in their home lands so they are now here in their thousands gorging themselves on our acorns. To date my best Jay image is shockingly bad at best and what better time than now to try and improve on it. I went out in search of some nice oak woodland and as one would expect the Jays were there too. But they are a naturally shy bird and getting close to them for an image is not easy. Therefore I have set up a feeding station to try and encourage them out into the open. This consisted of a sawn up tree trunk that will act as a table and on top of it I have piled it up high with peanuts. I will return each day for the next week and top up as necessary with more nuts, that is if the Jays find them? Once they get into the routine of being fed I will set up my hide and hey presto my best Jay images will be captured.........oh how I wish it is going to be that easy! But we will see, fingers crossed I may get lucky towards the end of the week? Setting up the Jay feeding station took up most of the morning, in the afternoon I flitted from site to site searching for Short Eared Owls, no luck there either! Because the rain continued to lash down I headed for home around 3pm, a quick stop off at my new Little Owl site No 220 that was first located last week did give me a chance to take my first image of the day. The owl was located in exactly the same place as I saw it last time, sheltering up against a tree trunk out of the wind and rain. Don't be fooled by the image though, it gives the impression that it was dry and bright. But believe me the conditions were awful, it is amazing how today's modern day camera equipment and editing soft wear can brighten up even the worse of days. I left the owl at my site No 220 where I found it and continued my journey home. It was now getting quite dark, but not dark enough for me to miss the unmistakable white face of a Barn Owl poking its head out of a hole in a roadside tree! Little Owls use to reside in this tree and even though I haven't seen them for well over a year I always slow down whilst passing in the hope of seeing one again. And what I saw this afternoon took me totally by surprise. Where had this Barn Owl come from? How long had it been there? Was it one of the previously rung birds from another site? Currently I do not have the answers to the origin of this bird, to be honest I wasn't really bothered at the time, all I wanted to do was get some images of it. For a good few minutes it sat there at the hole entrance watching me watching it, then it leapt out and took to the wing. It didn't fly far before it landed on a fence post 90 degrees to where I was parked. It seemed curious of my presence and just stared back at me! Eventually it ignored me and went off hunting. Despite the conditions for photography being absolutely abysmal I did get a flight shot before it departed, below and new blog header above. Again the wonders of my camera soft wear made the image just about usable? Shot at 4.10pm, ISO 3200, F2.8 and 1/300 second. So another new Barn Owl site has been found locally, I think my nest box programme is slowly but steadily starting to pay dividends. I am now making more sitings than ever before, or is it just a coincidence? Yes I have come to that conclusion too Doug, cheers for your comment mate. Well done on the Nest Box programme, Paul and for that, you deserve to get lovely images like these. Like Douglas, I really like the Barn Owl in the tree and the flight shots against the dusky sky are beautiful. Good luck with the Jays. Not until I have an image or two of them;-), thanks for your comment Jowan. I'd say that you turned a flippin' awful day into a brilliant one there Paul! The LO image in iteself would have made it all worthwhile, but those Barnie images are lovely - really capture the scene! Good luck with the Jays. Thanks Richard, although the Barnie images are really low quality I like them too! More fabulous images Paul. The new header is gorgeous. Your print went in the post this morning by the way so keep an eye out in the next few days. Oh goodie, it will be framed and hung on my office wall. Thank you Em. Cracking Pic's Paul especially with the light being so bad. I've got loads of jays at my feeders would love to swap places with you for a day as I'd love to get a pic of any owl. Well done mate. Cheers for your comments Dawson. 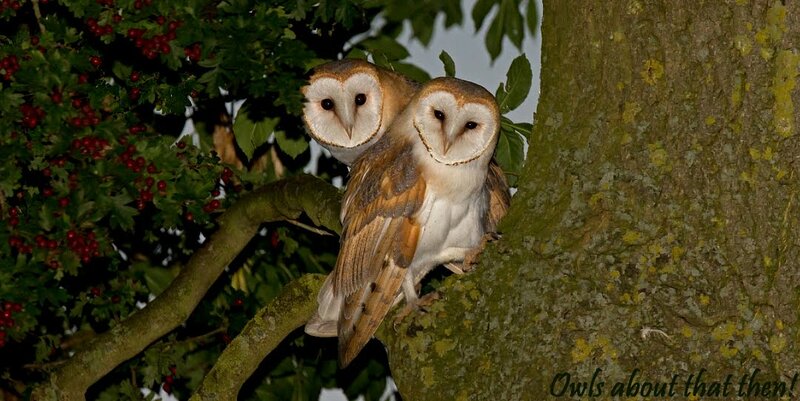 Great pics Paul....love the Barn Owl peeping out of the tree and the post shots! Thank you for your comment Susie, glad you liked it, better to come hopefully? Well done with the Barn Owl find and the images ain't too bad either. I hope your Jay strategy pays dividends Paul and look forward to seeing the results. 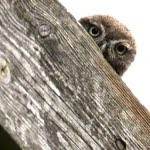 Despite the weather your Little Owl image is very good. You deserve great results with your Barn Owl box programme. Kind words in deed Mike, thank you!